We cross the countryside just outside Bruges as we take in the lovely panoramas dotted with canals and windmills. We stroll in a charming old town and visit a majestic castle that seems to have come out of a fairy-tale. 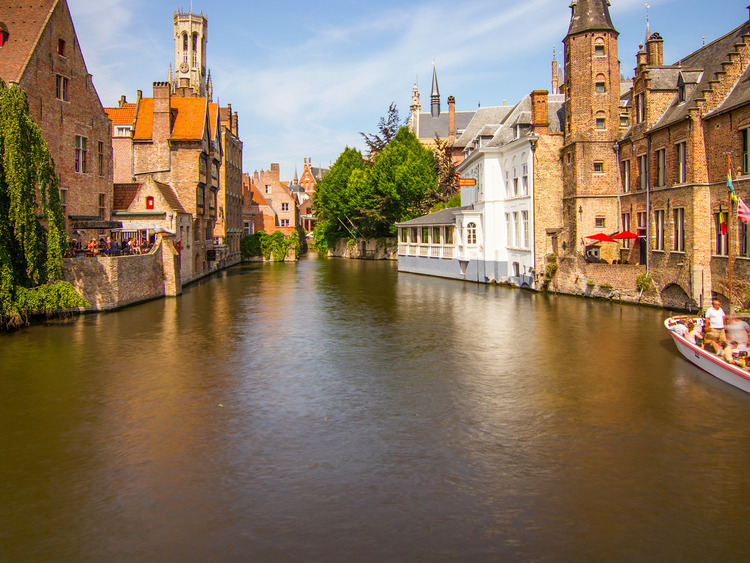 We start our excursion with a panoramic tour of the Flemish countryside surrounding the city of Bruges: the typical local scenery passes before our eyes with endless greenery dotted with hills and canals. We reach the charming town of Damme, where we have some free time available to wander around the shops and cafés and maybe enjoy a typical Belgian beer. We continue our tour of the Bruges surroundings, characterised by a series of windmills with the city's imposing Medieval walls in the background. We stop by one of the largest and better-stocked chocolate shops where we can purchase an incredible variety of delicacies. We then move south of Bruges to visit the majestic yet charming Loppem Castle with its towers, moat and marvellous labyrinth that seems to have come out of a fairy-tale. The family descendants still live on the second floor, while the rest of the building and gardens are open to the public.